I love this, Thanks for making it!!! I love them two!!! i love their smiles! it looks as though they were made for tha bg. ^^ Beautiful work. I think it would be a bit better if the "Friendship" wasn't so close to the "Fushigi Yuugi". Just a suggestion ^^' Great job. the girl's picture is beautiful. thx everyone for you comments. Couldn't help but notice your gallery submission of Fushigi Yuugi Works. 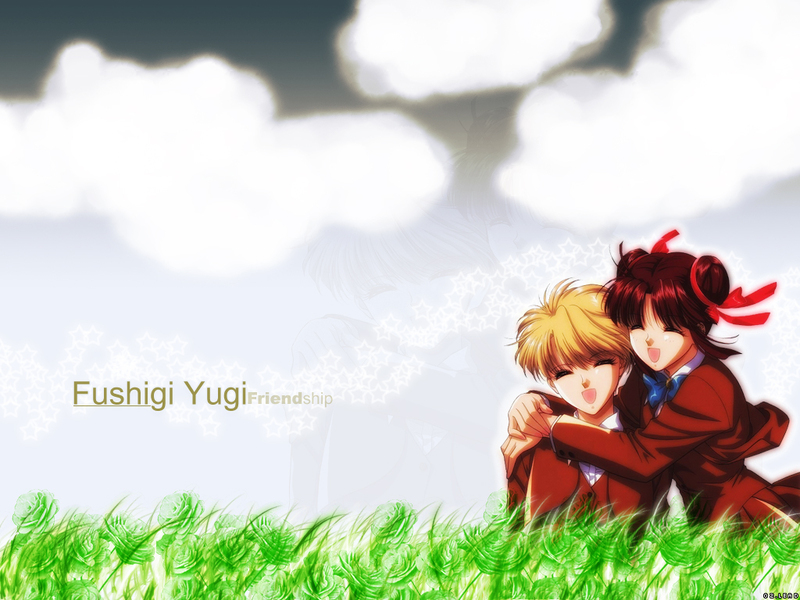 Hope you'll be interested to come by and visit our Fushigi Yuugi group! We welcome you and hope you'll join us and share your work and loves about FY.